Since May 16, 2013 the Bank “Bai-Tushum and Partners” joined the service of receiving and sending of urgent money transfers via the international payment money transfer system UNIstream. Transfers are carried out throughout of Russia, CIS countries, near and far abroad. The addressee receives money in that currency in which it is transferred: in US dollars, euro and Russian rubles. Duration of operation time for money transfer does not exceed ten minutes. The minimum and maximum amounts of transfer are not limited. Fees charged for the international money transfer system UNIstream are from 1 % and up to depending on direction. The International payment money transfer system UNISTREAM is one of the popular systems of urgent money transfers for individuals in Russia and CIS countries. 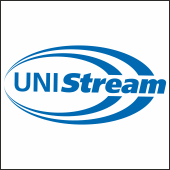 Unistream has wide branch network in Russia, Uzbekistan, Kyrgyzstan, Kazakhstan, Tajikistan, Moldova and Ukraine and other countries. Besides that Unistream has own service network in Cyprus, Great Britain, Germany and Greece. Today money transfer system Unistream provides opportunity to send and receive money transfers in 100 countries worldwide and more than 300 000 points. «Bait-Tushum and Partners» was founded in 2000 by the American international organization of development ACDI/VOCA. In November 13, 2012 “Bai-Tushum and Partners” became the first microfinance organization in the Central Asia obtained full banking license from the National Bank KR. For 12 years activity the organization became the one of the large microfinance institutions in the Kyrgyz Republic with total assets of 100 million US dollars. Today, Microfinance Bank “Bai-Tushum and Partners” entered to six large banks of the Kyrgyz Republic, serving of more 30 thousand clients.